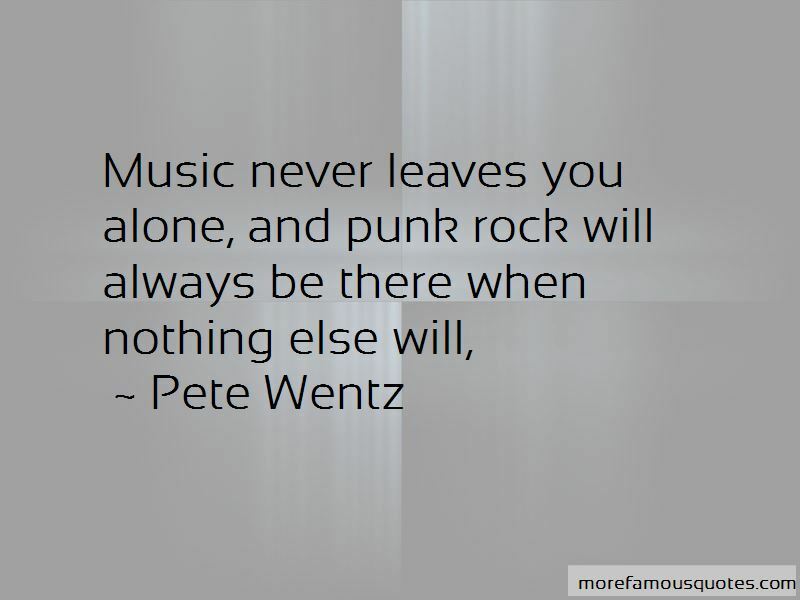 Enjoy the top 150 famous quotes, sayings and quotations by Pete Wentz. He sang "I wish I weren't me" over and over again just flat of the key of love until he forgot the words and could only hum along. Everyday was the same. The same stupid smile on the same stupid boy. Until the days blurred into a haze and the boy dropped into a depression. Not a cool dark room and cigarette depression like the songs he loved, but one that felt like he was being smothered by a safe, suburban, monotonous blanket. Everything felt like a headache to the boy. Every face, every stupid stuttered sentence all wrapped up into the biggest headache ever. So the boy took an aspirin. And another and another and then went to sleep, lullabyed by hopes he would never wake up to. This story never really had a point. It's just a lull - a skip in the record. We are addresses in ghost towns. We are old wishes that never came true. We are hand grenades (and every word you say pulls the pin). We are all gods, we are all monsters. He is the straight to video sequel to your summer hit movie. He is the verse to that song on the radio you have to hum cause you can't remember the words. You couldn't break this kid's heart, he is so far beyond that. This is the kind of kid who blew out the candles on hope all alone for too many birthdays to remember. And no one has ever fallen in love with anyone with a smile that's dripping with "please die". Fear owns me because I let it. Because I obsess over it, name it, raise it, and nurture it to become perfect. It is one of the few things in my life that I can control. I'm the first kid to write of hearts, lies, and friends, and I'm sorry my conscience called in sick again. I've got arrogance down to a science. 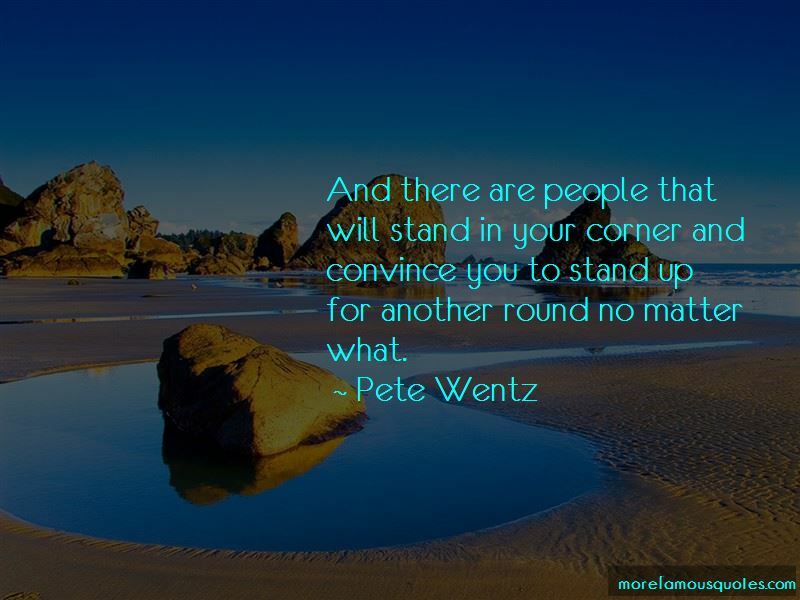 Everyone you idolize wakes up scared to be themselves sometimes. My wife can look at me in a certain way and I can tell by her eyes how she's feeling about me or when I should stop talking about something. It's kind of the way twins have their own thing. 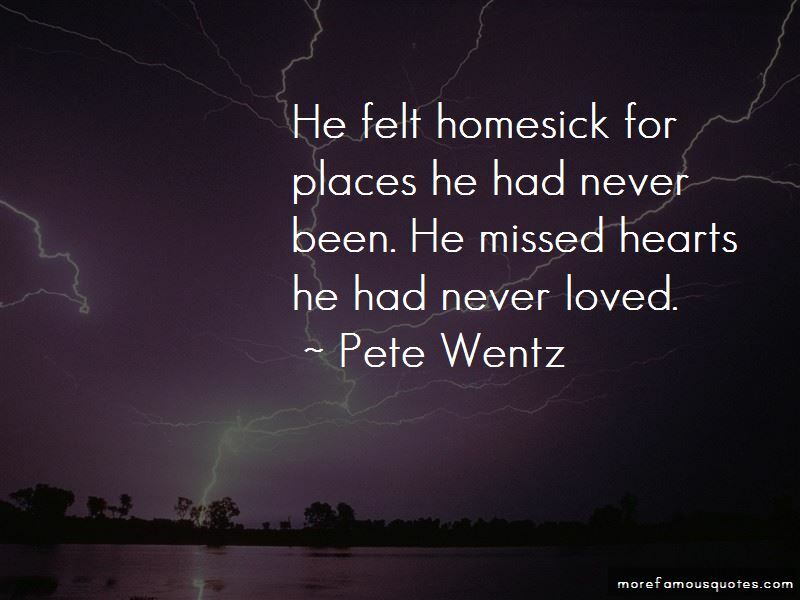 Want to see more pictures of Pete Wentz quotes? 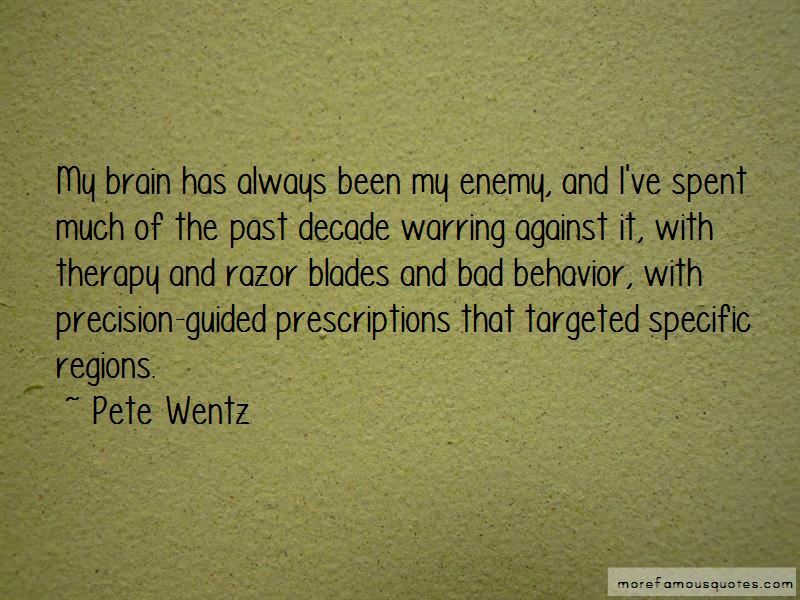 Click on image of Pete Wentz quotes to view full size.